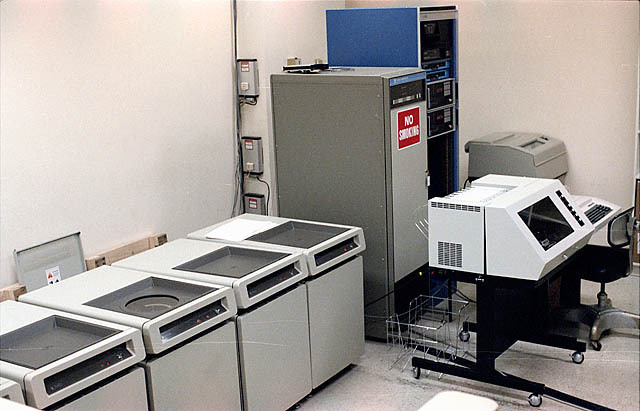 The HP3000 minicomputer was the primary system I programmed from 1978 until 1993 when I moved into networking. I have so many fond memories of that system. I knew the hardware and software backward and forward. I was fortunate enough to have access to the operating system (MPE) source code so I really knew what made it tick. Let’s just say I was a serious HP3000 nerd! The No Smoking sign was NECESSARY (and often ignored). We had several programmers that smoked like chimneys and they had no trouble sitting at the console while puffing away. Any way, SIMH has recently added the HP3000 Classic architecture (16 bit stack-oriented) to their list of simulations. I slogged through building a system and then adding several programs that are really necessary to use it such as PCLINK and QUAD. Below is a link to a zip file that is my running HP3000 environment. You just need to unzip it into c:\hp3000Sim, and run the hp.bat file to bring the simulation up. You will also find my HP3000 simh setup notes.pdf which explains how I made the changes I made (such as getting the PCLINK file transfer program installed). It also includes some usage notes and notes about the games that I installed as well. This entry was posted in c-retro and tagged HP3000. Bookmark the permalink. Thank you for sharing your setup file. I have wanted to try the simh version of the hp3000 for some time but never got around to doing anything about it. Your file and instructions made it easy to get going. I started with the 3000 in 1972 when my college purchased one of the first models. I still have my files (somewhere) of the FORTRAN code and data I used for my senior project and intend to get them loaded to see how a modern PC does with it. Just installed MPEZ on the SimH/HP3000 MPE V/R simulator. Needed to add a hand built JOBINFO intrinsic (didn’t arrive until V/E) and it’s not asked for anything else (yet). Been having a play but not getting very far. Only thing I have found, so far, is the LISTREDO, REDO and DO commands. I assume the HELP command uses a modified CICAT.PUB.SYS that includes the help entries for MPEZ. Any chance of getting a copy of the help text along with anything you might feel is relevant?